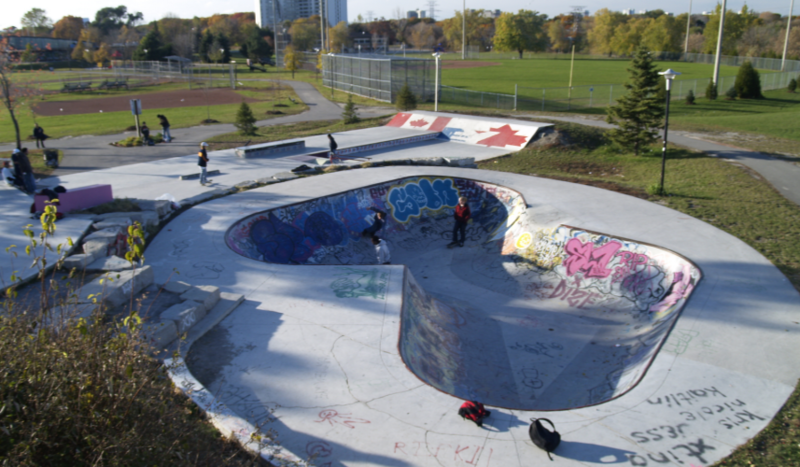 East York Skatepark is a community-based park located in the city of Toronto, ON, Canada. It is a busy community park, which gives life to the local community. The skate park was made possible by the hard work of Team EY and the involvement of local East York skateboarders and their supporters. The idea of building a skate park started in 1998. The skaters of East York started to work with local councilors and politicians to get the permission and finance for the project. The skaters finally secured money from the city in 2005 and the construction of the park was completed in spring 2007 and officially opened o June 23, 2007. The Lead designer was Jim Barnum and the smooth concrete work was done by Eric Meunier. 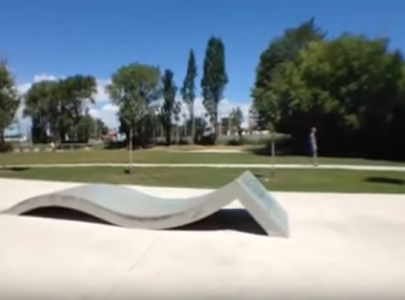 Due to a continuous involvement of East York skaters throughout the designing and construction, the resulting park provided the local skaters with the terrain they wanted in the area. 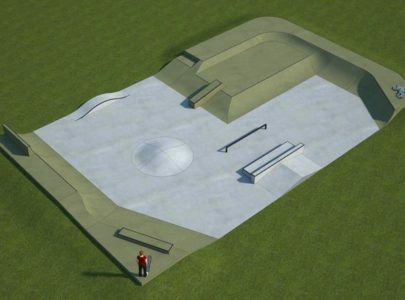 The result is a street-focused skate park bordering on plaza style and a tight 5’ to 6’ bowl. The street area consists of a ‘Pier 7’ manual pad, ‘Commerce Court’ style multiple 3-sets, some larger stair sets, various rails and ledges, a long banked ledge and two granite caped ledges: one down the double set and one over a grass gap. 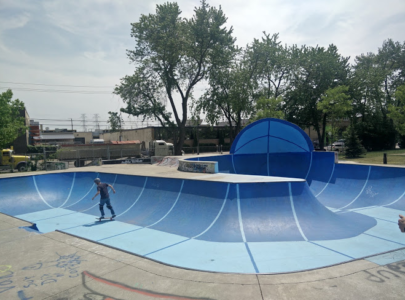 The East York Skatepark is always busy with locals and has given new life to the area; bringing old school EY skaters out of retirement and breeding plenty of new rippers who are just tearing the place up! The local skaters continue to be involved with the skatepark: organizing annual spring cleanup weekends, mural paintings, and even some concrete work – building a new wallride and a pole jam. The community has also come together to remember East York Skatepark local, Sebastian “Sabby” Perez, by hosting memorial fund raisers for his family and dedicating several mural paintings to his memory.